Kayaking in Door County is growing in popularity and why not? With over 300 miles of shoreline to explore, the area has much to offer to kayakers. With summer in full swing, now is the perfect time to head to Door County and check out the options. Whether you plan to stay for a weekend or a full week, Ephraim Shores Resort is your ideal family friendly resort in Door County. Ephraim Shores location is an added bonus for kayaking in Door County. It is near the Ephraim Kayak Center to rent a kayak or South Shore Pier for paddle boats, WaveRunners and pontoons. If you have your own kayaks, you can use our beachfront and dock to launch them. There is a way for everyone in your group to see the sights and you can launch right there in Eagle Harbor. Kayaking provides Door County visitors with a new perspective. Whether you launch your kayak on the Bay of Green Bay side or the Lake Michigan side of the Door Peninsula, there is plenty to see, including caves, shipwrecks and glorious views of the shoreline. There is more to see than just nature, paddle up to a neighboring town to attend events or spend an afternoon. 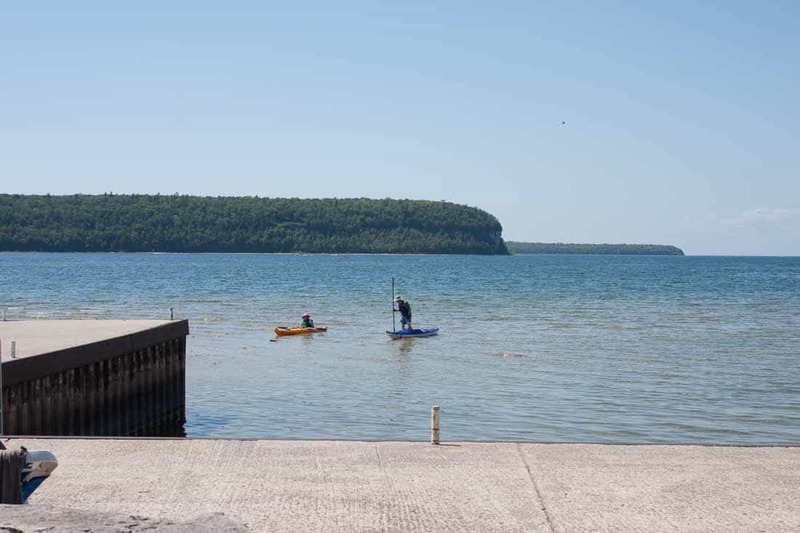 For more information on kayaking visit the Door County Visitor Bureau website. And when you are ready to relax after a full day of kayaking in Door County, head back to Ephraim Shores. Located in downtown Ephraim, with a private sundeck overlooking Eagle Harbor, Ephraim Shores Resort is the family friendly resort for groups of all sizes. From our many room types to our beautiful waterfront location, Ephraim Shores has everything your family needs for the perfect vacation. Some of our amenities include an indoor pool and hot tub, and bikes for our guests to use. Contact us at 877-854-2371or visit our website at ephraimshores.com to make your reservation.